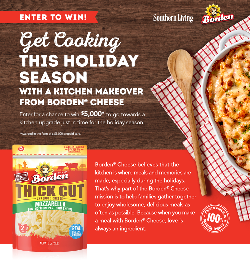 Prize: 5 winners: $5,000 VISA prepaid card and a $900 Borden® Prize Package*. Contents of Borden® Prize Package to include Borden®-branded merchandise, kitchen utensils and other components. Statistics: This contest was opened by 23 and entered by 6 ContestChest.com members. 26% of those who opened the contest, entered it.